1. 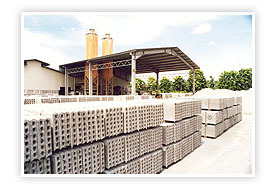 One unit of 600mm x 3000mm panel (75mm & 100mm thickness) is equivalent to 112 pieces of bricks. 2. Total Wall Weight is reduced by approximately 45%. 3. The panel surface quality allows a skim coat finishing for internal walls.